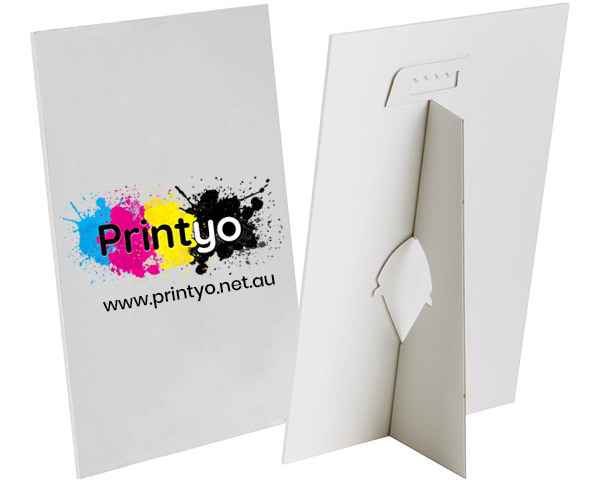 Strut cards take up very less surface space and allow you to display and promote your products and services in a cost-effective way. Strut Cards printing at Printyo is a high-quality strut card printing service in the UK by professional Strut Card printers. As printing company london, we have worked with many leading brands both offline and online and helped them with the best in industry print solutions that are not only cheap but effective as well. With years of experience and start of the art print machinery, we can take care of print orders of all sizes and colors. We have in-house production house at our Ilford Shop for 24-hour same day Strut Cards printing in London and you may contact us at [email protected] for any customised quote to fit your requirements.